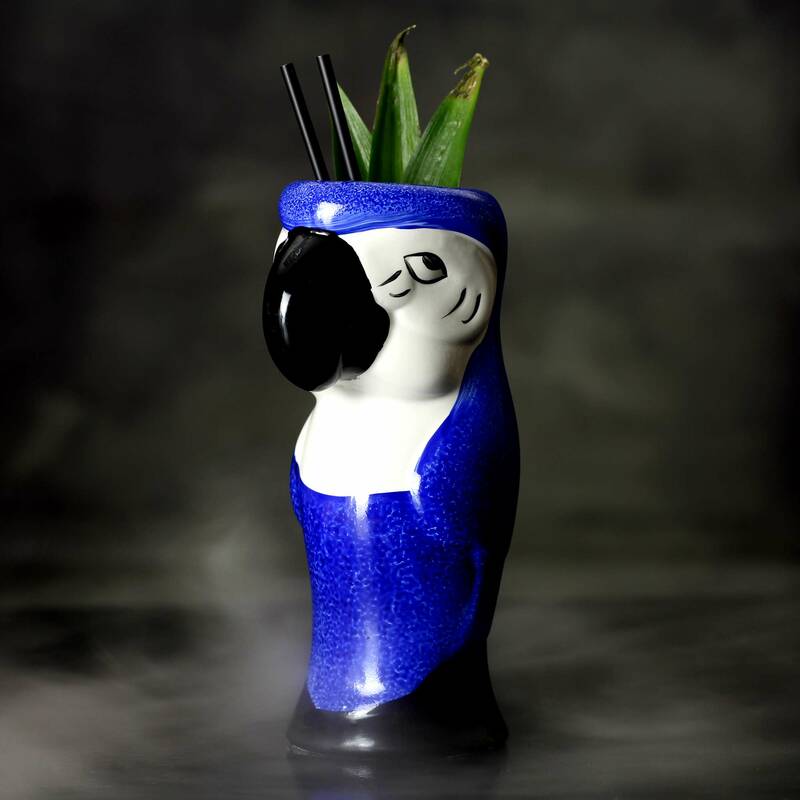 The Ceramic Parrot Mug is a cocktail glass that no one will turn their beak up at! 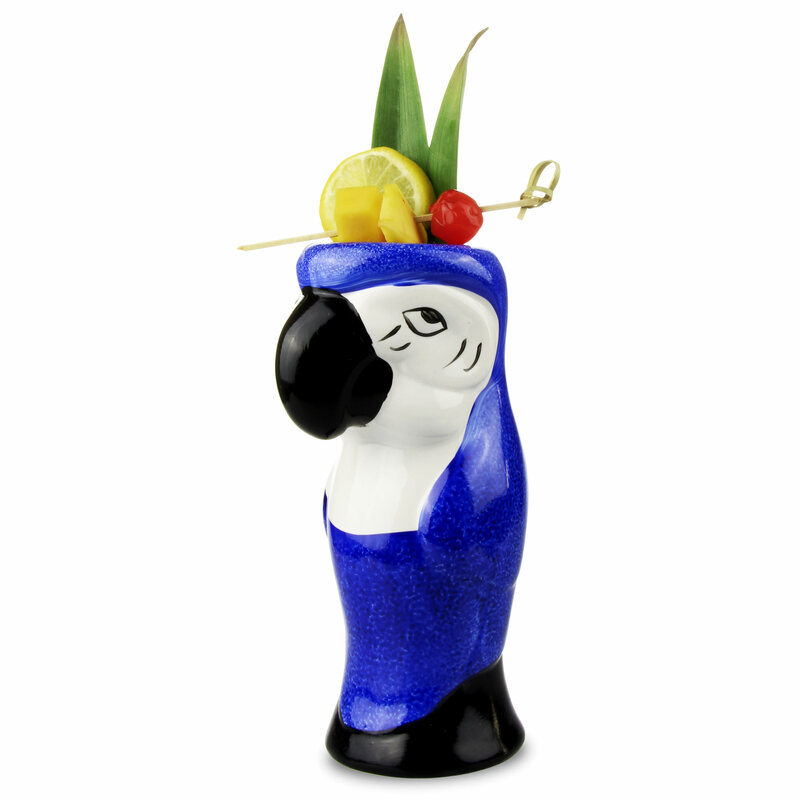 Perfect for Hawaiian cocktails, this parrot cup adds a true luau look. 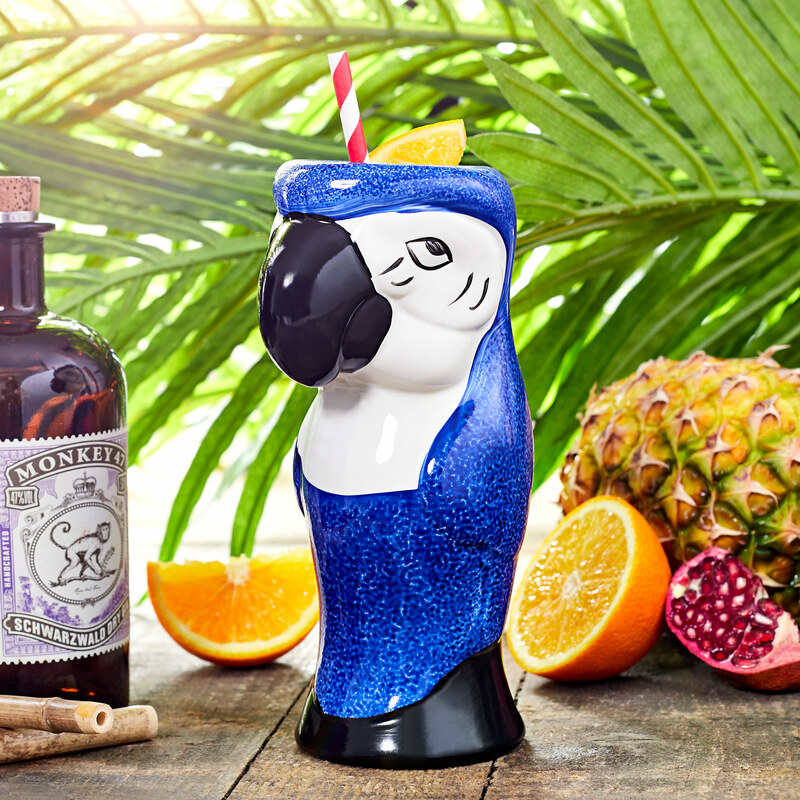 With all you need for a tropical themed party, these novelty tiki mugs will make your party truly memorable. 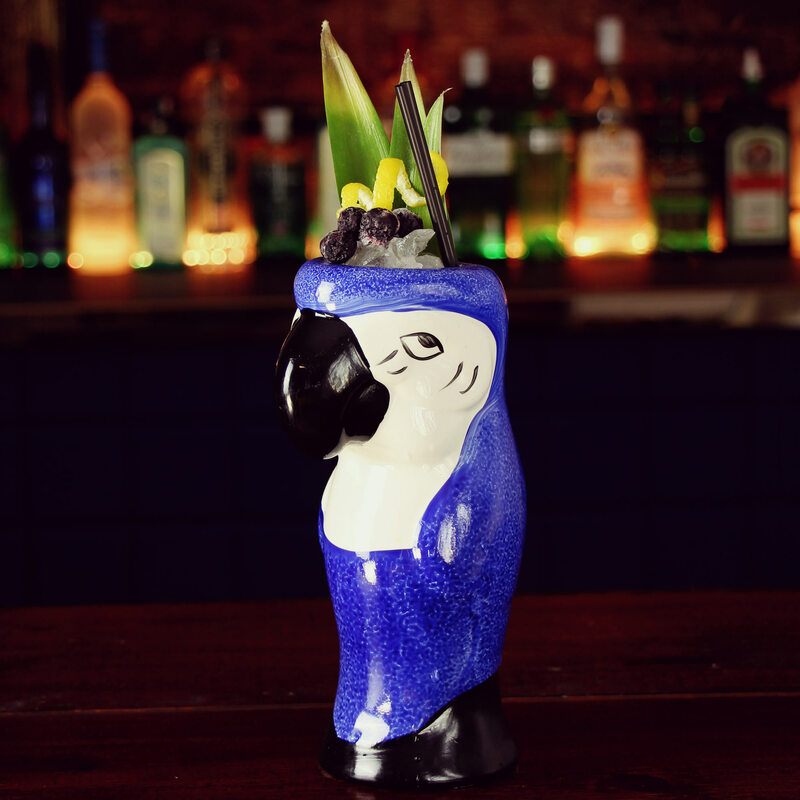 "An absolutely fantastic Parrot Tiki Mug, his world weary expression sublimely juxtapositions the fruity island drink that you have filled his innards with. 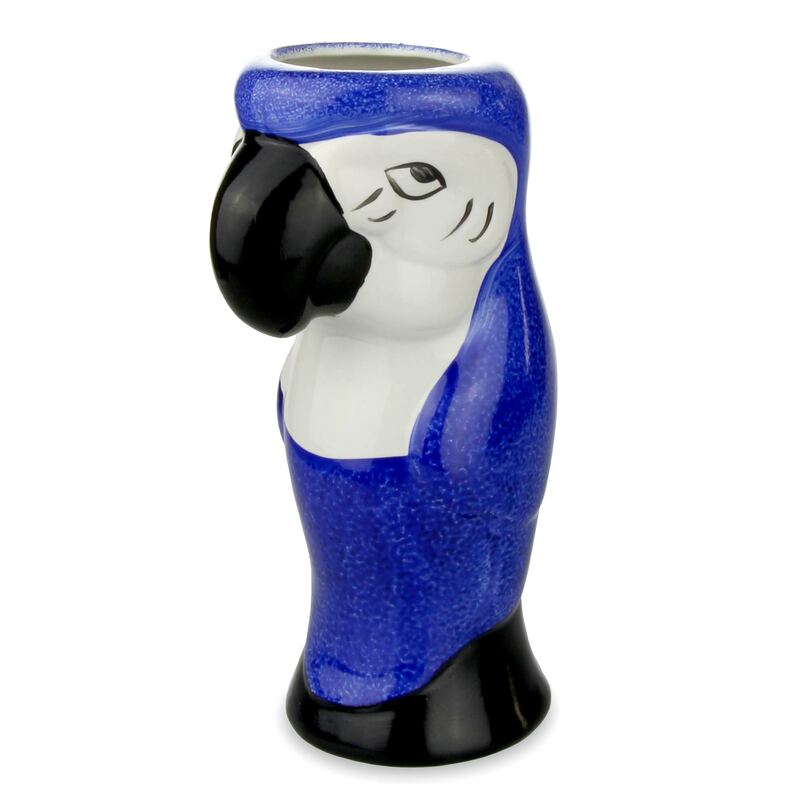 Your world is not complete until you are drinking a potted parrot from a parrot pot." "This is the first poor review I have given to anything from Drinkstuff. inside that prevents it being suitable for drinking from." Drinkstuff says: Thanks for your review Vyv, sorry you feel this way but we recommend that tiki mugs are used with straws. We have passed this review on to our buying department who are looking to make design changes.